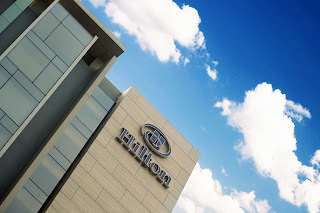 Hilton Bandung has officially opened its door on March 21st, 2009. Combining a strong contemporary design and Hilton’s legacy of service excellence, the Hilton Bandung aims to set a new standard for upscale accommodation and personalised guest experiences in Bandung, the capital city of West Java in Indonesia. Located in the vibrant and creative capital of West Java province, 180 km southeast of Jakarta, Bandung is situated 700 metres above sea level and surrounded by mountains and lakes. International tourists can fly directly to Bandung’s Hussein Sastranegara Airport or via Soekarno-Hatta International Airport, Jakarta. The city’s illustrious past is still seen in the stunning tropical Art Deco architecture and Dutch colonial buildings, while students from all over Indonesia study at the city’s universities and colleges which are renowned for their arts and humanities based courses. The creative vibe of Bandung is reflected in bistros and home-grown fashion labels. Scott Wilson, General Manager Hilton Bandung, commented, “We are thrilled about this stunning hotel in Indonesia, and are confident that this property will set a new standard for accommodation in Bandung, in response to the growing trend among Indonesian city dwellers to escape to this highland oasis for relaxation, time out and fantastic shopping. Hilton Bandung’s best-in-class meeting and ballroom facilities will attract business people and leisure seekers alike”. Hilton Bandung has been built to reflect an urban resort, balancing the entertainment and practical needs of both leisure and business travellers. The hotel’s chic design features floor to ceiling glass lobby windows overlooking lush green landscaping surrounding the hotel. The Hilton Bandung offers the largest rooms in the city with 45 square metres of absolute comfort. State of the art meeting facilities include 7 dedicated meeting rooms and a Grand Ballroom of 1000 square metres, a perfect venue for wedding banquets as well as conferences and exhibitions. Guests can enjoy the hotel’s day spa, gym and pool facilities and choose from four innovative restaurants, all dedicated to offering a high quality food and beverage experience with an emphasis on value for money that aims to attract local diners as well as hotel guests. The opening of Hilton’s newest hotel in Asia Pacific marks the entry of Hilton’s flagship brand into Indonesia and the second Hilton Family branded property in the archipelago, following the success of the Conrad Bali located in Tanjung Benoa on the island of Bali. Hilton Bandung is the leading internationally branded deluxe hotel in Bandung, designed to cater to the needs of modern and savvy travelers who value comfort, security, prestige. 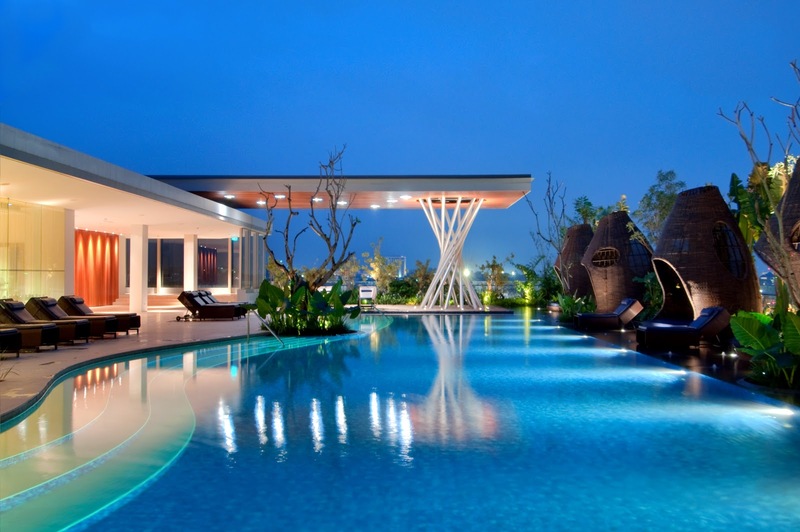 The upscale property is located five minutes from Bandung rail station; 15 minutes from Bandung Airport (BDO) and a two-hour’s drive away from Jakarta (CGK). Boasting superlative features such as the city’s largest guestrooms, grandest ballroom, biggest underground parking, most spectacular rooftop lifestyle area, and of course, the warmth and hospitality of the world’s most famous hotel brand, Hilton Bandung is the ultimate place be it for business, events or leisure.